At the SQL PASS conference last November, we announced the In-memory OLTP (project code-named Hekaton) database technology built into the next release of SQL Server. Microsoft’s technical fellow Dave Campbell’s blog provides a broad overview of the motivation and design principles behind this project codenamed In-memory OLTP. In a nutshell – In-memory OLTP is a new database engine optimized for memory resident data and OLTP workloads. In-memory OLTP is fully integrated into SQL Server – not a separate system. To take advantage of In-memory OLTP, a user defines a heavily accessed table as memory optimized. In-memory OLTP tables are fully transactional, durable and accessed using T-SQL in the same way as regular SQL Server tables. A query can reference both In-memory OLTP tables and regular tables, and a transaction can update data in both types of tables. Expensive T-SQL stored procedures that reference only In-memory OLTP tables can be natively compiled into machine code for further performance improvements. The engine is designed for extremely high session concurrency for OLTP type of transactions driven from a highly scaled-out mid-tier. To achieve this it uses latch-free data structures and a new optimistic, multi-version concurrency control technique. The end result is a selective and incremental migration into In-memory OLTP to provide predictable sub-millisecond low latency and high throughput with linear scaling for DB transactions. The actual performance gain depends on many factors but we have typically seen 5X-20X in customer workloads. In the SQL Server product group, many years ago we started the investment of reinventing the architecture of the RDBMS engine to leverage modern hardware trends. This resulted in PowerPivot and In-memory ColumnStore Index in SQL2012, and In-memory OLTP is the new addition for OLTP workloads we are introducing for SQL2014 together with the updatable clustered ColumnStore index and (SSD) bufferpool extension. It has been a long and complex process to build this next generation relational engine, especially with our explicit decision of seamlessly integrating it into the existing SQL Server instead of releasing a separate product – in the belief that it provides the best customer value and onboarding experience. Now we are releasing SQL2014 CTP1 as a public preview, it’s a great opportunity for you to get hands-on experience with this new technology and we are eager to get your feedback and improve the product. In addition to BOL (Books Online) content, we will roll out a series of technical blogs on In-memory OLTP to help you understand and leverage this preview release effectively. Getting started – to walk through a simple sample database application using In-memory OLTP so that you can start experimenting with the public CTP release. Architecture – to understand at a high level how In-memory OLTP is designed and built into SQL Server, and how the different concepts like memory optimized tables, native compilation of SPs and query inter-op fit together under the hood. Customer experiences so far – we had many TAP customer engagements since about 2 years ago and their feedback helped to shape the product, and we would like to share with you some of the learnings and customer experiences, such as typical application patterns and performance results. Hardware guidance – it is apparent that memory size is a factor, but since most of the applications require full durability, In-memory OLTP still requires log and checkpointing IO, and with the much higher transactional throughput, it can put actually even higher demand on the IO subsystem as a result. We will also cover how Windows Azure VMs can be used with In-memory OLTP. Application migration – how to get started with migrating to or building a new application with In-memory OLTP. You will see multiple blog posts covering the AMR tool, Table and SP migrations and pointers on how to work around some unsupported data types and T-SQL surface area, as well as the transactional model used. 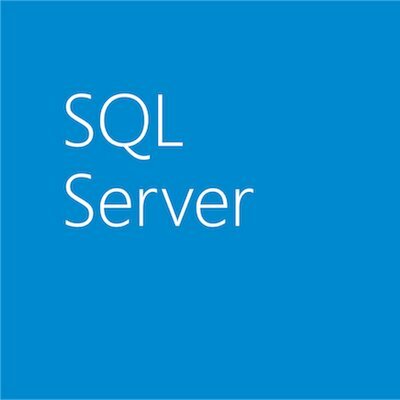 We will highlight the unique approach on SQL server integration which supports a partial database migration. Managing In-memory OLTP – this will cover the DBA considerations, and you will see multiple posts ranging from the tooling supporting (SSMS) to more advanced topics such as how memory and storage are managed. Limitations and what’s coming – explain what limitations exist in CTP1 and new capabilities expected to be coming in CTP2 and RTM, so that you can plan your roadmap with clarity. In addition – we will also have blog coverage on what’s new with In-memory ColumnStore and introduction to bufferpool extension.